I was thinking about resolutions and I’ve decided that this year I’m going to let go of high expectations for myself. Yes I could drink more water, drink less wine, read more books, watch less tv, put my phone down, etc. but instead of focusing on all of these things I could be doing better, I just want to feel content. I mentioned here that I felt like I lost myself a little bit last year. Juggling so many things and ultimately felt like I wasn’t devoting enough positivity to anything. I look back on projects or moments I captured and hate that they feel forced. I don’t want others to influence my work or what I do. I want to do things because they make me happy. Because I sincerely feel passionate about them. 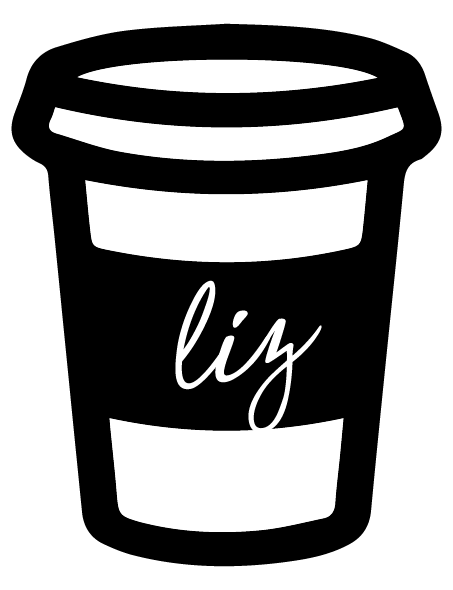 On that note, here is a little bit of what you can expect in the new year: new recipes, fitness routines (be sure to follow me on snapchat: @lizadamsss), Chicago favorites, beauty regimens, fashion, travel and more! I’m really excited to start creating more this year. Onto this outfit…I had been on the hunt for the perfect midi skirt and finally found it (and it is only $46). I love that it looks just as cute with a pretty tank top and heels for a wedding or a sweater and booties in the fall/winter. I’m wearing a size US 4 for reference and it fits a little high waisted (it sits above my hips). A look that is suitable for day and night. I wore it to roam around our favorite spots on our last day and an intimate sit down dinner with my grandmother. That sweater looks so good paired with that skirt!! Love this! I think that is amazing you are taking time to take care of yourself! So important! You also looking amazing in this outfit! OMG that skirt is so cute! These photos are absolutely adorable! Great find with this skirt. It’s the perfect shade. Happy Friday! totally hear you on feeling like you lost yourself a little bit last year. i’d say i was experiencing the same. it sounds like you’ve already started brainstorming about the content that you want to share and i can’t wait to see it! 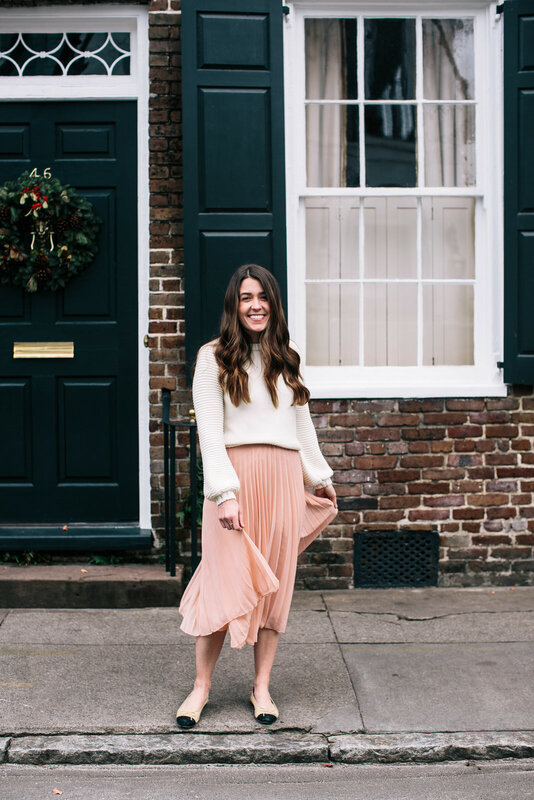 Such a pretty look, Liz & love this resolution of yours! so excited to see the new content! I am the same way, doing the blog for me and what i want to post about without feeling like f should i post this picture of my coffee bc i dont have anything planned today! I love this look for a warmer winter! That peach is a beautiful color! First of all, I love love love this outfit!! I also love your resolution of feeling content….I think that is something so important and something everyone should strive for! Happy New Year! I can’t seem to find the skirt on the website though! Will you please post the link that goes straight to it? Sadly it is old and sold out!